SALLY HANSEN COMPLETE SALON MANICURE – Marie Claire vote 25 best beauty products of the year, RedBook MVP, Self healthy beauty award winner 2010. 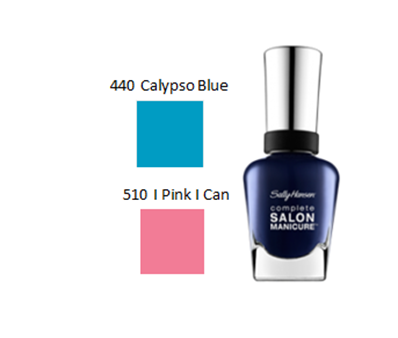 Two colors in stock “Calypso Blue” and I Pink I Can.” Fabulous nails in a flash! $9.00 – inbox me to purchase.